Brought to you by Clear Little Noses. We thought we were prepared. We were wrong. You'd think it would be obvious by the time we got to first cold stage that all our baby preparation had left us about one percent prepared for the real experience (and that's being generous). Well, you know, the cold is one thing we thought we had down. We got colds every year - how hard could it be? Even though we've just discussed the relative uselessness of trying to prepare, we're still going to help you try. Or we're at least going to let you know what you're in for. Before the cold actually hits, there's a lingering sense of foreboding. Something is on the way. Baby's appetite decreases and they seem harder to pacify. They're just generally not their usual, perky selves. Something is happening. But what? I mean, it's always going to happen, isn't it? They've never had a cold, so it must be something worse! They're sweaty, crying constantly, and they sometimes go all raspy in the middle of their cries. 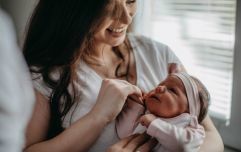 A panicked trip to the doctor is inevitable and they will kindly tell you that you are having a perfectly normal over-the-top parental reaction to a simple cold, but make you feel important and less foolish by telling you to keep an eye on Baby and let them know if things get any worse. Thank you, Doctor. Keep an eye we most certainly will. Remember when we mentioned the constant crying? Yeah. Pretty constant. Sleep had not been in plentiful supply before this, so it was pretty unpleasant having the little amount we did have get taken away. Even while awake, it was impossible to relax because crying was happening a LOT of the time. Okay, our baby is the cutest baby in the world. We know it, everyone else knows it (they just might not know that they know it). And the vast majority of stuff that they do is 100 percent adorable. Sneezing a spray of snot into your face is not one of those things. If your baby is under three or four months, they won't yet have learned the reflex of opening their mouth to breath, which is why they get so upset if their nose is clogged (poor things). That leads to a lot of discomfort for them and for you too. We hope that this isn't a problem for you. I mean, our immune system has had years to build up an immunity to these colds, so we really should be fine by now. Unfortunately, ours decided to let us down and, just as Baby was starting to improve, we feel the symptoms of a cold start to take over our own bodies. There are those awful few days while the baby is still sick and you're also sick so EVERYONE is miserable and you all feel like crying all day (one of you is). 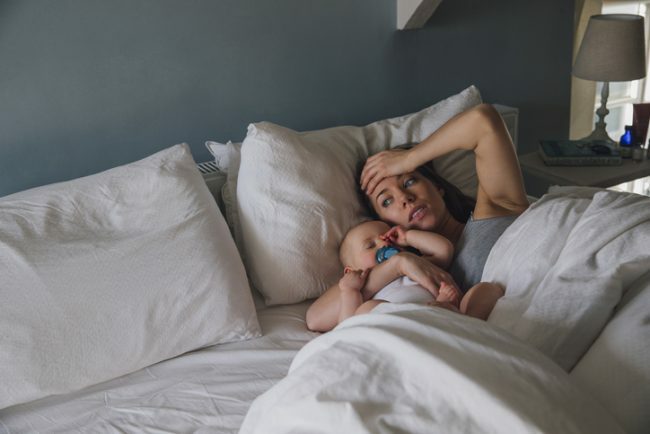 Things will get significantly easier once the little one starts to feel a bit better (we promise!) - you'll get that bit more sleep and you won't have to be on constant alert to see if their cold is getting worse. We suggest stocking up on some soup, make sure you have comfy blankets at the ready, and a good thermometer to hand (trust us, it will help with the worrying). This will be a difficult week or two weeks but it will pass. 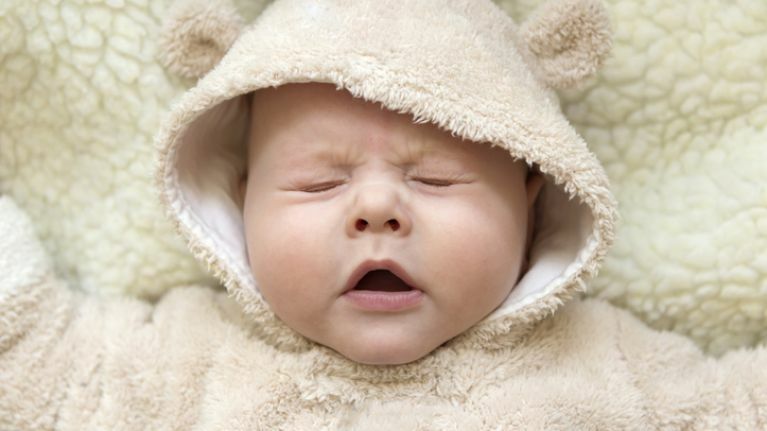 Just focus on the positive parts of it, like adorable baby snores (so cute!). Colds are not fun and the first one is always the worst, but you'll get through it. Clear Little Noses by Clonmel Healthcare is available in all good pharmacies.